Looking for Value in Tokai? R1 695 000 – Three bedroom two bathroom house in Tokai. Much loved semi-detached home tucked away down a quiet cul-de-sac, in walking distance of the Blue Route Mall and the rest of the Tokai commercial hub. A single automated-door garage and carport take care of your parking needs. 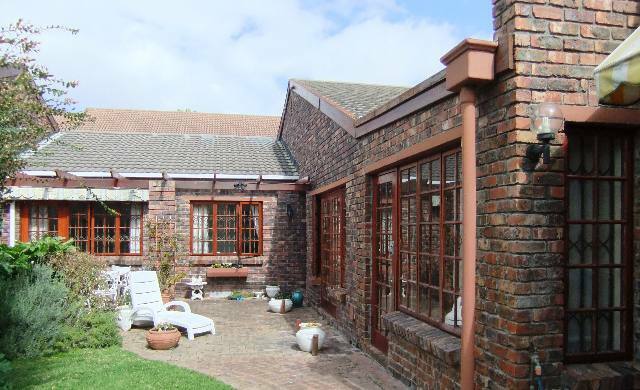 The beautifully maintained, private garden has neat brick paving, a patio with built-in braai and a retractable awning. The front door opens to the living areas comprising a dining room with an arched serving hatch, fitted kitchen with a separate laundry opening to a drying yard at the rear. A wood burning fireplace warms the lounge for winter cosiness and double patio doors open to the garden for summer living. The adjoining bonus TV room with lots of useful storage also has a door to the garden. There are two spacious family bedrooms, one of which currently doubles as a study, serviced by a family bathroom (bath only). The master bedroom has a sunny outlook into the garden and its en-suite has a shower only. Lovingly maintained this home is cottagey, peaceful and immaculately ready to move in. Call Lisa Rowell on 082 844 0800 or 021 712 5029 – and call quickly; this will not be on the market for long!